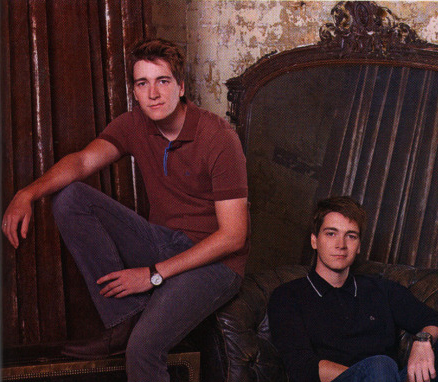 Twins <3. . Wallpaper and background images in the fred e george weasley club tagged: james phelps oliver phelps fred weasley george weasley weasley twins fred and george tumblr fan arts. This fred e george weasley fan art contains sala de desenho. There might also be sala de estar, sala, sala de frente, salão, sala da frente, sala de estar, quarto de família, and quarto familiar.